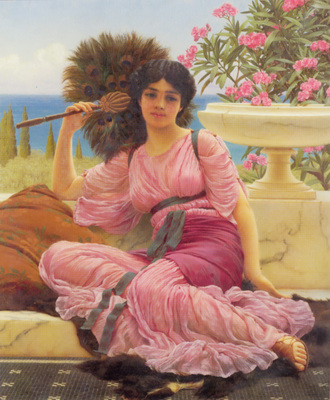 John William Godward (9 August 1861 – 13 December 1922) was an English painter from the end of the Pre-Raphaelite / Neo-Classicist era. He was a protégé of Sir Lawrence Alma-Tadema but his style of painting fell out of favour with the arrival of painters like Picasso. He committed suicide at the age of 61 and is said to have written in his suicide note that "the world was not big enough" for him and a Picasso.